Sherry Ann Montgomery, 55, of Cleveland, passed away on March 18, 2019 in Mission Viejo, CA. Her viewing is on March 29, 2019 from 5:00-9:00. Funeral Services will be held Saturday, March 30, 2019 at 10:00. Burial to Follow. Arrangements are by Neal Funeral Home. Sherry was born in Moses Lake, Washington to Edward James Banville and Barbara Sue "Davis" Banville on July 1, 1963. She is a 1981 graduate of Baytown Sterling High School. She married Calvin Wayne Montgomery, on January 21, 1983 and they began a family. She gave birth to Elizabeth, Melissa, and CW. During their childhood, Sherry was a stay-at-home supermom. Sherry participated in everything her children were involved in. As they grew, so did she. 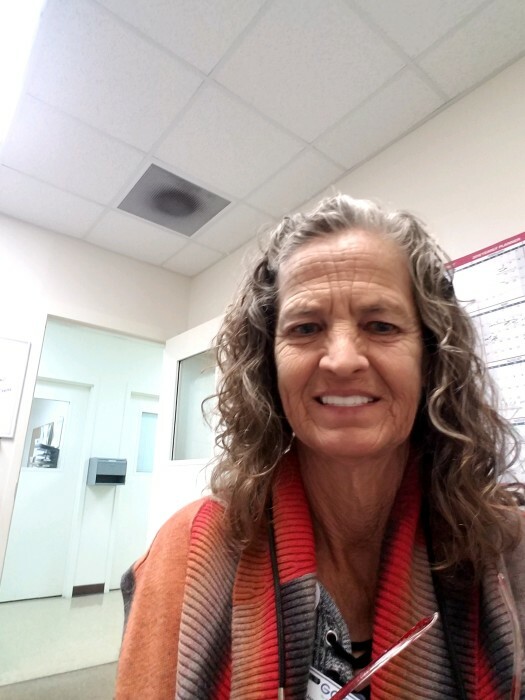 For over a decade, Sherry has been a dedicated employee of The Geo Group company as part of its’ compliance team; the Joe Corley facility was her home base. Sherry did so many amazing things, but her greatest achievement was becoming a Baba. Her grandkids were and are the light of her life. She was most happy surrounded by these little blessings. Sherry is preceded in death by her daddy, Oren “Mac” McWhorter, her sister Vicky Wagner, and numerous other beloved family members who will be waiting to greet her at the Gates of Heaven. Sherry is survived by her husband of 36 years, Calvin Wayne Montgomery Sr., her children: Elizabeth Anne Rodriguez and husband Brandon, Melissa Suzanne Burns, Calvin “CW” Wayne Montgomery Jr. and fiancée Courtney, and Kyle Brian Jones, her brothers: Bill Banville and wife Christa, Mike Hearn and wife Mandy, Bubba McWhorter and wife Natasha, Brian Robinson, and Alan Robinson and wife Nancy, her sisters: Fran Mackey and husband Richard, Cammy Harris, Suzanne Thompson and husband Marty, Kelly Rice and husband Kyle, Cindy Bankson and husband Craig, and Robin Hanna and husband John, her best friend and mother, Barbara Sue McWhorter, her father, Edward James Banville and wife Carol, and her most precious and loved grandchildren: Skylar Kain Finnegan, Jaylee Page Finnegan, Kylie Faith Montgomery, Lakyn Jade Montgomery, Cody Matthew Montgomery, Karson Brian Jones, Blaze Maddox Jones, Gabriel Ernest Rodriguez, Daniel Joseph Rodriguez, and Vivian Marie Rodriguez. We would like to give a special thank you to all of the First Responders and the Code Stroke team and medical professionals at Mission Hospital. God bless you. In Lieu of flowers, please donate to the Go Fund Me account in honor of Sherry, for Calvin and his family.